Scott Addaman, Vice President Client Services (and avid dog lover), joined OneSource Relocation in November of 2014. Scott began his career in global mobility working on-site at The Coca-Cola Company for Prudential Relocation, where as Operations Manager he helped establish their international program. 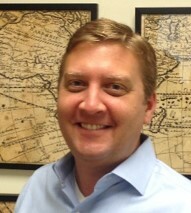 Scott brings his twenty years of global mobility industry experience to bear in managing OneSource’s global client services, including relocation policy design and implementation, service delivery and program management. OneSource clients love his straightforward manner, clear thinking and expertise, and his team loves his sense of fun in the office, while still keeping things on track. Scott is kept busy in his off hours by his two Cocker Spaniels, Tyler and Brooks and a Schnauzer, Stella. He loves antique cars, and anything to do with the water including the beach, boating and hanging out at the pool. Scott says the most memorable moment in his career was when he was a top real estate agent, and during an open house the clients’ dog somehow managed to sneak up into the attic and fall inside the walls! Fortunately, the dog was discovered and the fire department was able to get her out safely, if somewhat dirty! To get in touch with Scott, please call 470-268-3600 or email info@onesourcerelocation.com.